A fabulous pair of Hollywood Regency "Asymmetrical" chairs. Newly reupholstered in a fine red wine velvet. 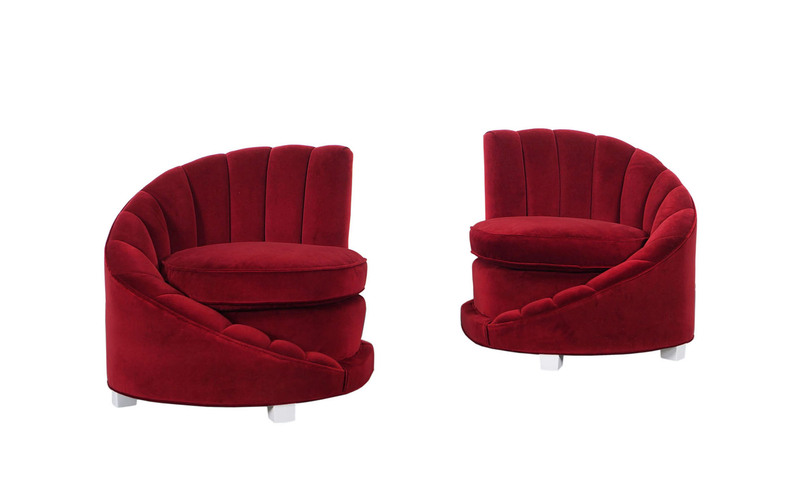 These chairs features a great asymmetrical design and exemplify the glamour of the Hollywood era.